What is the value of celebrity neurology? It is always headlines when a celebrity comes out with, or dies of, any disease. The disease often gets a boost, its profile raised high. We saw this with the ‘Jade Goody effect‘ which boosted cervical cancer screening. The same occurred with the ‘Angelina Jolie effect‘ which improved the provision of breast cancer services. The celebrity effect also works in Neurology, although never as successfully as the examples above. Some single-minded neurology celebrities have tackled their diseases head-on, often by funding research. This is the case with the Michael J. Fox Foundation and Parkinson’s disease (PD). The celebrity may support a charity on account of a family member with a condition such as JK Rowling aiding the Multiple Sclerosis Society in Scotland on behalf of her mother who had the disease; unfortunately they eventually fell out. 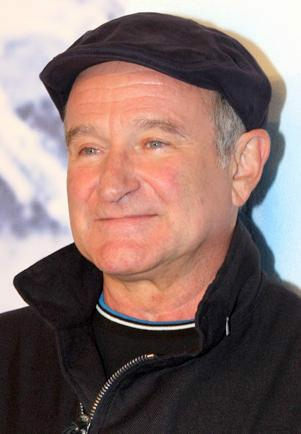 Most recently we learnt that Robin Williams had Lewy Body disease a variant of Parkinson’s disease, and he probably died from the hallucinations common in this disorder. Will this boost the profile Lewy body diseases? Will it improve research into its risk factors and treatment? Sometimes its a celebrity event that does the trick. The ice bucket challenge raised millions for MND. The celebrity endorsements for the campaign was a boost for those fighting to eliminate the disease. And one of the best clips is of Benedict Cumberbatch-worth a look! But how valuable is a one-off benefit such as this? A lot it seems going by the MND Association feedback-£7m is not to be scoffed at! A grandfather made a self-diagnosis of MND after watching the film. Talk of celebrity influence! What of naming nerve cells after celebrities? Yes indeed. Heard of the Jennifer Aniston neuron? Neuroscientists have discovered that individual nerve cells learn to recocgnise specific faces, and Jennifer’s was a face they used in their trials. A lot of good it has done for her, but a clever way for neuroscience to embed their lesson in our minds; a very good use of celebrity. Which other celebrities with neurological diseases have raised the profile of their condition, or influenced it, in any way at all? The subject for a blog sequel! Bee venom acupuncture for PD?